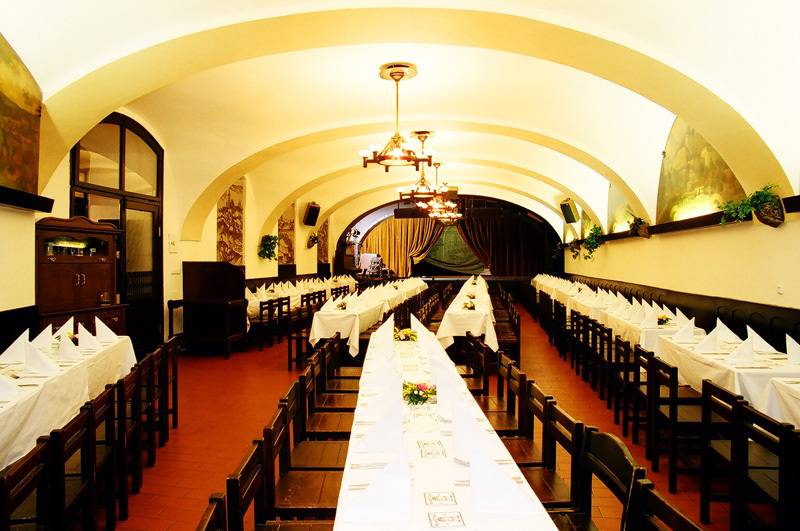 This room, originally called „Chmelnice“ („a hop garden“), is the home of the Cabaret U Fleků and hosts entertaining and musical programmes. 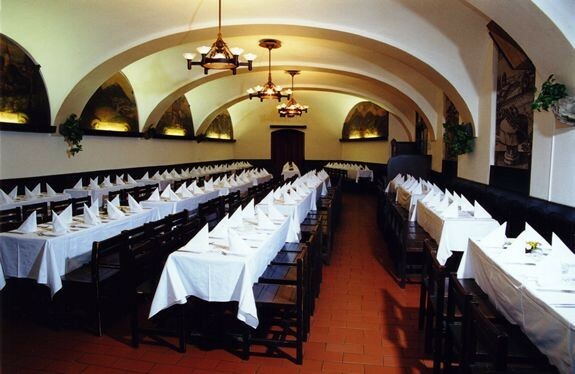 Its capacity reaches a respectable number of 190 seats or 130 persons during banquets. Walls are decorated with paintings of Czech castles and chateaux. The hall has its own entrance from the street and its own cloakroom.